Very good material, the breakdown of all the subjects were very easy to understand. 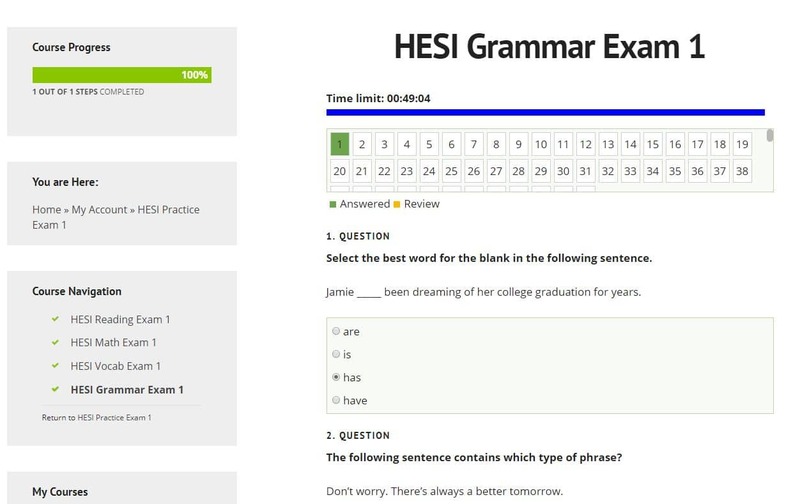 I scored and 86% on my HESi. Would definitely recommend! Easy to understand but I’m still struggling on reading comprehension. I’m taking the HESI exam on Sep 7th and I’m very nervous. Wish me luck! Completed my Hesi exam today! I actually got the best score from reading comprehension with 86%. For my math, I got 84% (a lot of ratio and proportions). I only got 72% on both grammar and vocab, it was a lot different on here than the test. The studying on here did help me pass so thank you! I just passed the HESI A2 at Paradise Valley Community College Testing Center in Paradise Valley, Arizona. Above 90 % on the math, vocabulary, grammar, and reading comprehension. Your test preparation courses are the main reason I scored so high in the math. However, I did the quizzes over and over to build my speed and I memorized the vocabulary and metric conversions I did not already know. I am very grateful to you. Hello just wanted to say thank you. I have used some of the material posted and I have passed my Hesi on the 1st try. 86.6% if had enough time to go through all of it I know I would scored even better. I got accepted into nursing school! Thank you so much!!!! After taking the Hesi I see now how much the practice tests helped me! I ended up with an 86% on my first try! I would HIGHLY recommend paying for all the courses! This course is definitely worth every dollar! This is very thorough and easy to understand and grasp. I enjoyed going through the lessons which made me feel like I was sitting in class and then testing myself over and over again. This is a must!!! Just made a 96% on my math after the first try. 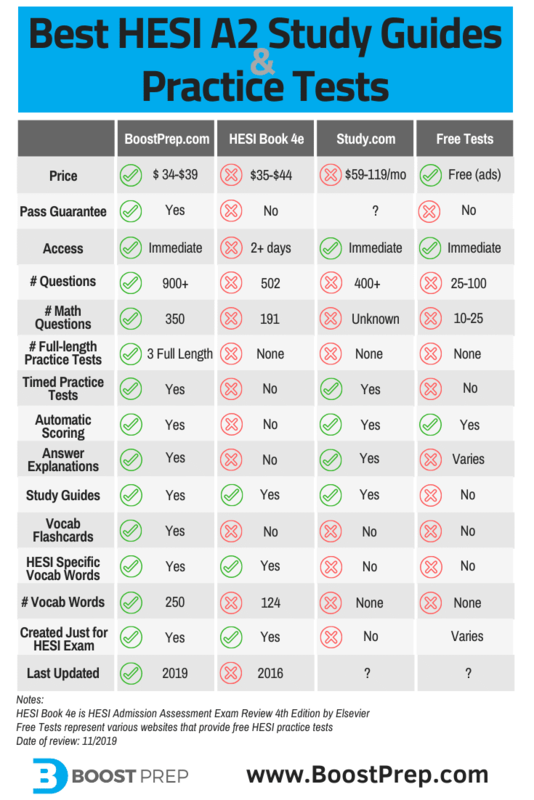 The practice exams I found on boost prep were the most similar to the actual HESI. I scored A’s on the other subjects as well. I would recommend boost prep! Found a few errors in the quiz section of math. there may be errors in other sections as well. Ex. Question: Kenny is making pillow cases. He has 2 1⁄5 yards of fabric and each pillow case takes 1 2⁄10 yards of fabric. How many pillow cases can he make? Answer given by boostprep: The correct answer is 1 5⁄6. Convert both fractions to improper form, then take the reciprocal of the second fraction and multiply it by the first fraction: 11⁄5 × 10⁄12 = 110⁄60, which simplifies to 11⁄6, which is 1 5⁄6 in proper form. The question and answer you pointed out may be unrealistic but it is correct. 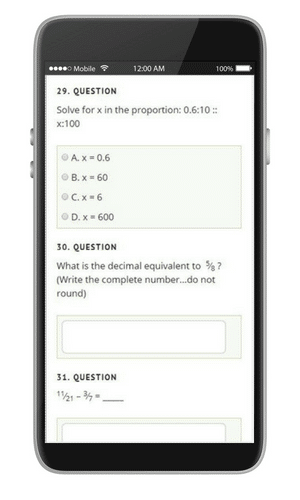 This is a free response question, and it appears that you entered in 11 for an answer, when the answer is supposed to be 1 5/6 which is detailed in the response. If you find other questions that you suspect may be wrong, please let us know. I am really enjoying this study guide, but I am very disappointed that there’s a limited time to use this program (3months). I felt rushed, and the way my brain works I cannot be rushed. plus I missed out on the first three months, am now and the extended period because I thought once I purchased it, it would be mine forever, just like buying the book. I took the Hesi A2 before I found boost prep and failed miserably. Everyone has different learning styles, so this program should be at least for a year for a slow learner like myself. I gave five stars for a program well put together and zero stars for the limited time offered to students. Please, I need more time to study. Thanks for the feedback. It looks like your course is still available until May 4, 2019. If you need more time after that, just let us know… we will extend your subscription. In addition to a couple other HESI prep books, I used BoostPrep for the last couple weeks before my 1st attempt at the HESI A2 test. I’m thrilled to report that I got a 97.2 on my HESI A2 exam! 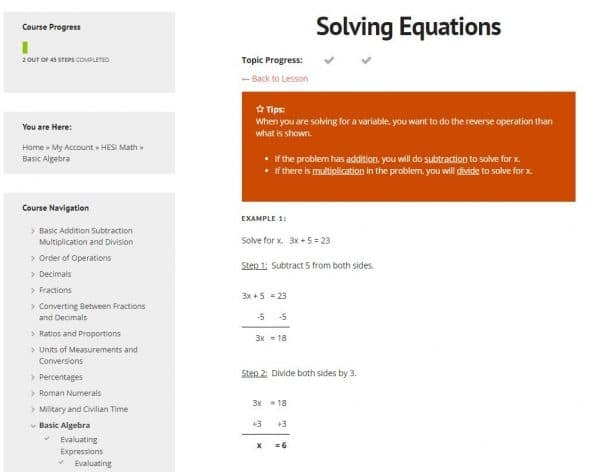 The thoroughness of the BoostPrep material is very good and I can honestly say I know their program had a lot to do with my exam success.